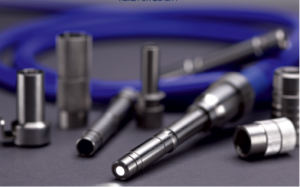 At Easmed, we distribute for many brands around the world and carry quality fibreoptic light cables from Ecleris, Stryker, Heinemann, and Renz for Quality (RfQ), with adaptors to fit different light sources and endoscopes. In particular, RfQ HTT-Blue-Line® and LED-White-Line® high performance fibreoptic cables feature approximately 20% higher light transmission compared to conventional cables, and are highly flexible despite cable armor. They also have increased temperature resistance for a longer life span when faced with powerful Xenon or LED light sources. With diameters from 1.9mm to 4.9mm, and lengths from 1800mm to 5000mm, Easmed has got the perfect light cables for Clinics and Operating theatres. Customised cables can be made upon request.